Netizens are tweaking up many secrets of Windows 10 which is yet to be launched by the end of this month. 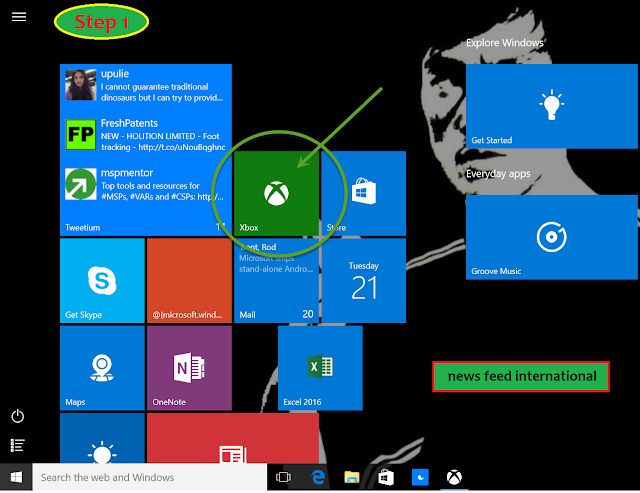 Many of us are willing to known tricks, tips, and many other aspects of Windows 10 a prior to its launch. We brought out an exclusive update about Windows 10 that has secret screen recording tool by which one could easily have a video file of on-screen activity at the end of the day. 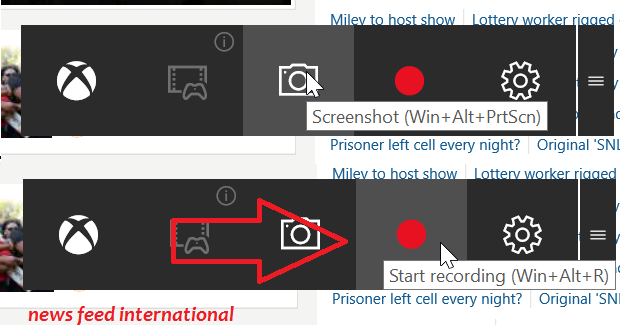 PC users might be known that taking a screenshot is much easy as just click Print Screen key option or many of us liked to use Snipping Tool which helps to countless screen captures in no time. While coming to the video capturing it is done with the Camtasia tool which is tough to use at a time. One of all secret screen recording tool can help to capture on-screen activity and this specially done for the gamers. Users who are using Windows 10 can now use this secret tool all the way. Gamers use the Game Bar toolbar to get the screenshots of their highest scores and also can record gaming skills activities on the Microsoft. As it mostly used by gamers many of common users might be not known about this. Press Windows Key + G. A Pop-up displays on the Windows 10. Click Yes button on the Game box icon by which users can access the screen recorder tool at which part of the application you’re going to work on. Click Windows + G > Game bar > 4th Icon Record Click it. In the toolbar, click Standard Record Button to Start screen recordings to capture on-screen activity as a video file. Once finished click Windows key + Alt + R shortcut or else click on Stop Recording button. Windows 10 users can also set the video length at the time of recording which helps you to save the space on one's hard drive when you forgot to stop the recording option at the work tension. On to users note this screen recording tool will be available in Xbox app of Windows 10 and for any settings one should need to go to Xbox to adjust the settings. To view your recorded video go to Xbox and go to 5th icon Game DVR and there you can find the videos which are recorded your on-screen activity. Users can also trim the video in the app itself. 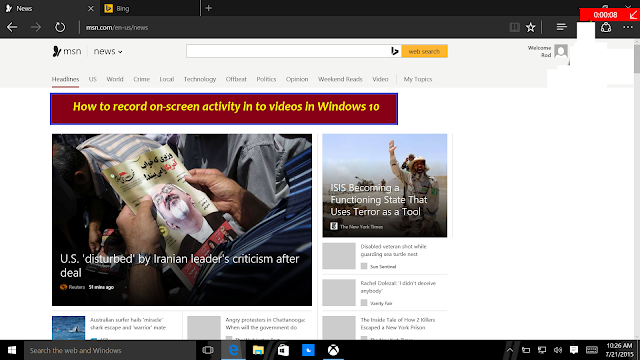 Let us known your trial experience on the Secret screen recording tool in Windows 10.